When it comes to self sufficient living and creating food security for your family, raising animals for meat is hard to beat. Pasture raised animals are generally happy and healthy animals and their wonderfully diverse diet provides us with healthy and nutritious meat. You are what you eat, and you are what you eat eats too. In addition to providing meat for your family, you can learn techniques that enable you to make use of most parts of each animal. 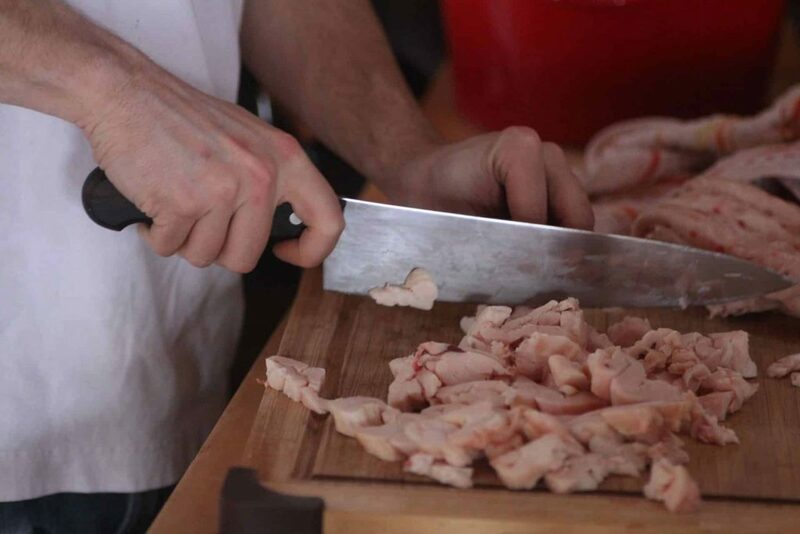 By taking butchering a step further you can preserve meat making it shelf stable. You can also dehydrate or smoke your meat for longer term storage. Rendering fat provides you with ample lard for baking, soap making and so many other wonderful things and even the feathers and fur can be put to good use. Animals also give back by eating pesky bugs, mowing and tilling pastures, fertilizing your soil and helping you manage healthy and productive land. 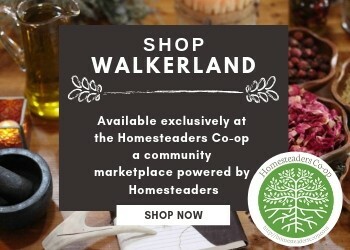 They can play a beneficial role in the overall health management of your homestead if you let them. 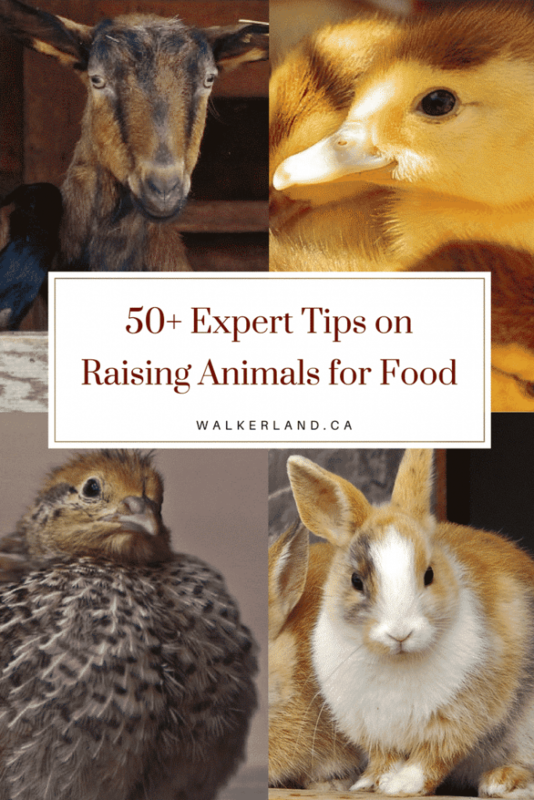 Here are 50+ Expert Tips to help you choose which animals are right for you. Before you bring animals home, prepare the shelter, food and fencing. You will also want to have a good understanding of the basic care that your animals require to thrive on your homestead. It’s also important that you know what sort of commitment you are getting yourself and your family into. Some animals are easier to raise than others. 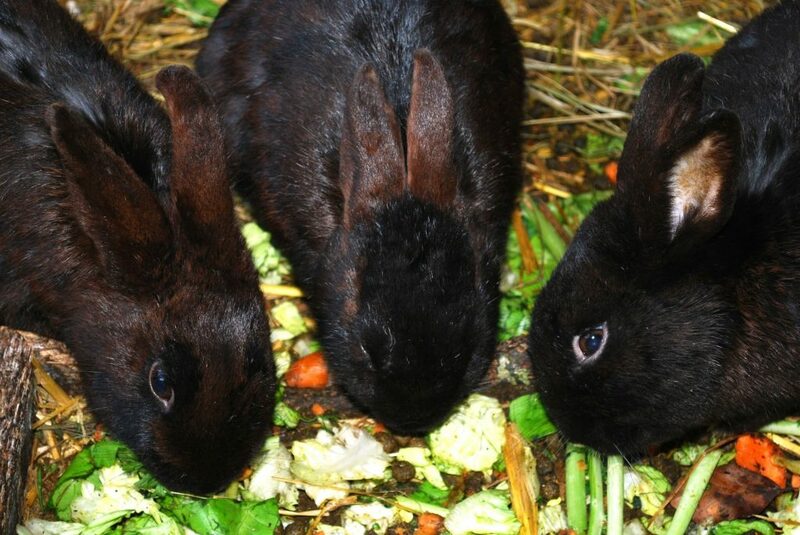 Prolific producers, rabbits are an extremely popular way to raise meat. They are economical to raise and require very little overall space. They produce copious amounts of manure to fertilize your garden and are one of the easiest animals to keep. 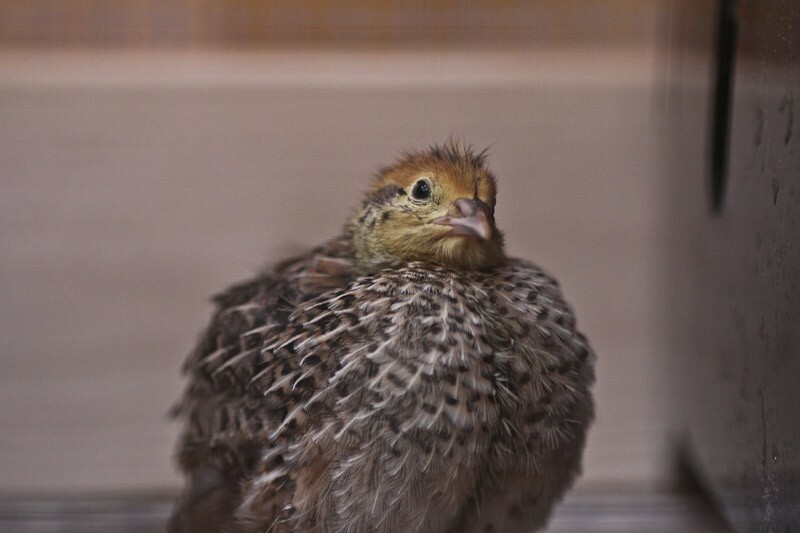 Raising poultry is often the gateway into backyard livestock. They are one of the few creatures that will provide you with breakfast every morning. 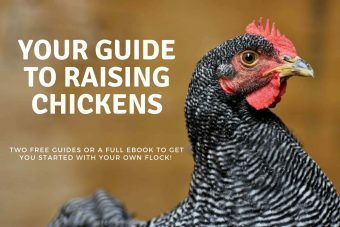 Entertaining and relatively easy to raise, chickens really do have a lot to offer. 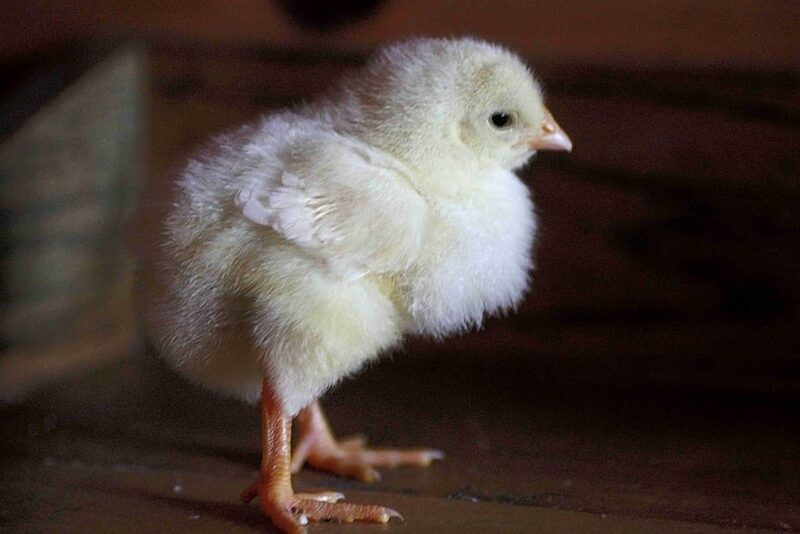 With a small investment chickens will provide your family with a long term, sustainable food source. Ducks are surprisingly easy to keep, especially when compared to chickens. They require a basic shelter like a shed, a swimming area and room to roam. They don’t fly so they are quite easy to contain. 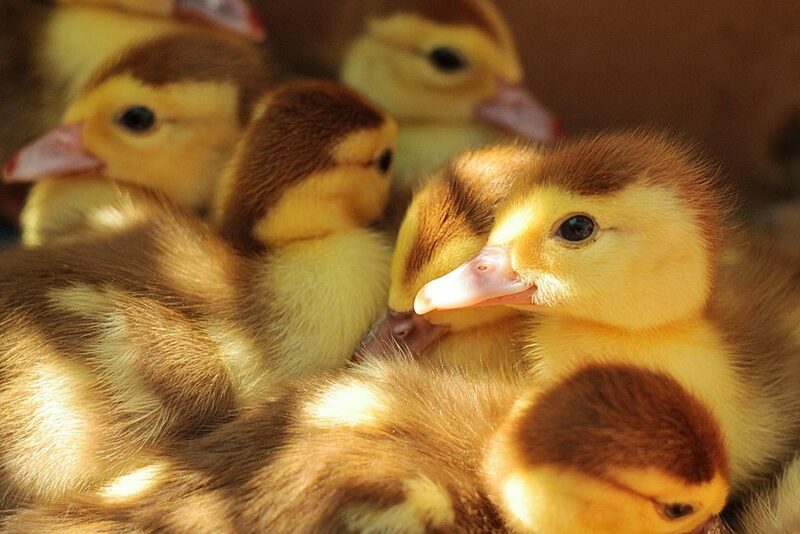 Ducks provide nutritious eggs and are wonderful at hunting down pests. They also have a more laid back pecking order so introducing new ducks to your flock is a less time consuming and stressful endeavour that with chickens. 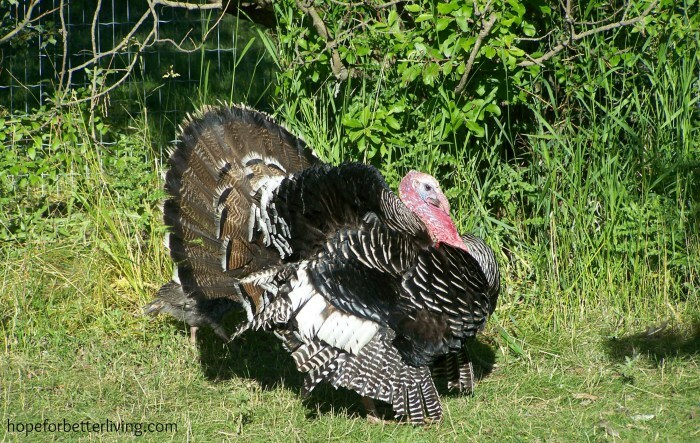 Turkeys are sociable creatures and like to be around humans. It can be a challenge to not get attached to them. They provide a hefty portion of high quality meat, and are low effort to raise. They are wonderful at keeping your bug population down and although their egg production is low, they do provide nice sized eggs. Quail are fast producers. They start laying eggs at around 6-8 weeks old and can be processed for meat at around 10 weeks. Quail eggs taste slightly richer than those of chicken and these dainty little eggs are quite a novelty. They look quite elegant when plated nicely (a quail egg on top of a steak, for example). They don’t provide a lot of meat but they are very easy to process. 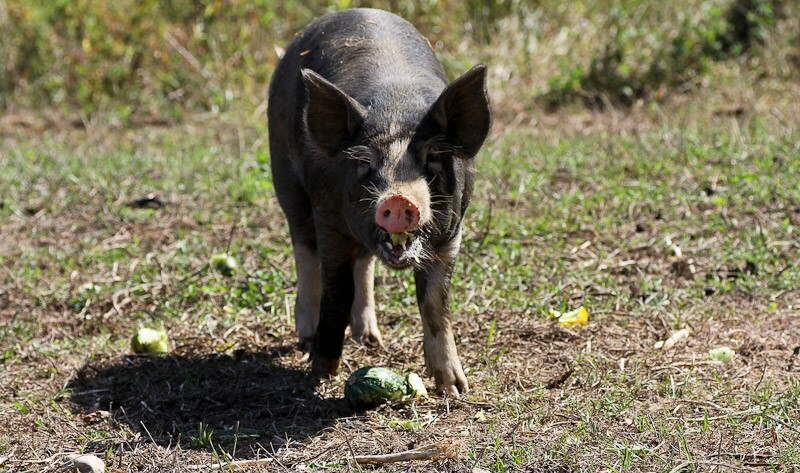 Raising pigs is a complex experience that impacts you in innumerable ways. Pigs will charm you and entertain you. They’ll make you laugh and they’ll probably make you cry too. There is really nothing like home grown, pasture raised, heritage pork. Goats are entertaining, playful characters famous on youtube for their crazy antics. People simply love raising goats. They come in many sizes, some providing higher milk fat than others, so do your research to find the breed best suited to your needs. I always thought that goats milk was terrible “goaty” tasting stuff until we had it fresh. 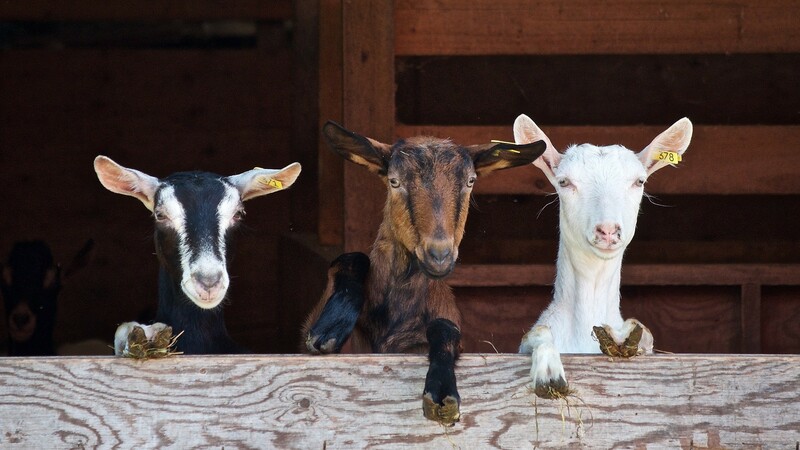 When goats are properly raised they produce lovely, creamy and delicious milk. 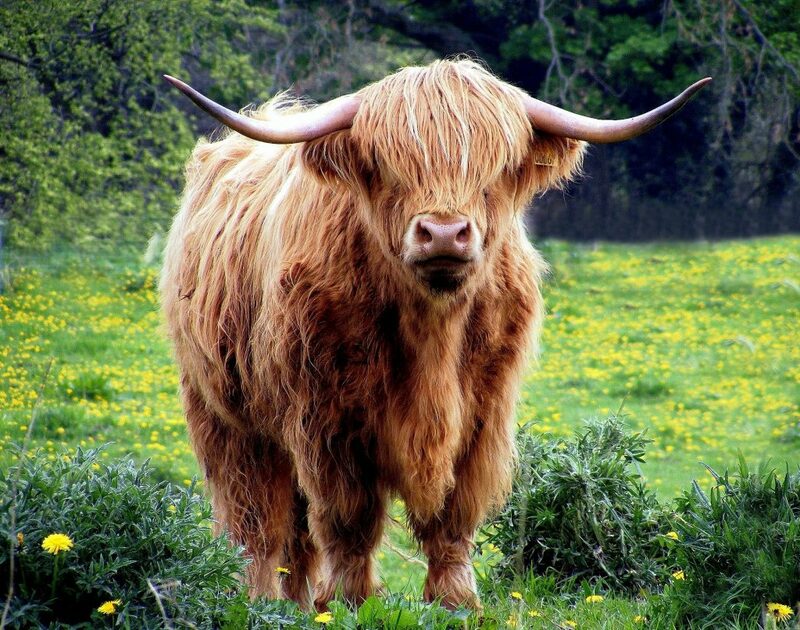 Cows are the dream animal for many homesteaders. They are beautiful creatures. Cows do cost more to raise than most other animals and they require plenty of space. 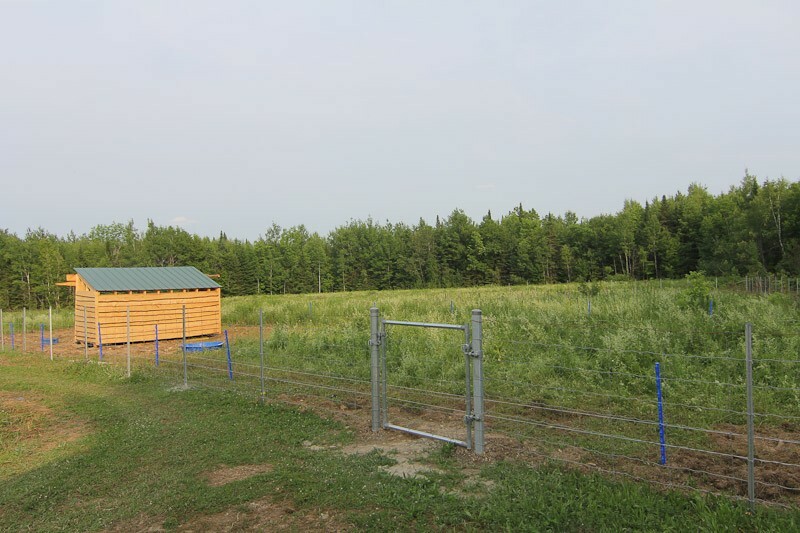 Ideally you should have at least two acres of land dedicated to pasture and a good sized shelter. They provide ample manure for your gardens along with the resources to make every imaginable dairy product. Milk cows require milking on a strict schedule for their health and well-being! When you raise animals for meat you have a lot to work with. Bones can be turned into broth, fat rendered into lard and then there is canning and smoking for shelf stable longer term storage. There is a lot to know and learn, and the more you know, the more value you can extract from your animals. What a resourceful post! Love all the options and ground covered. Wonderful! Thanks so much! What a great post! You covered everything, and I’ll be returning this article over and over as we add rabbits next! !